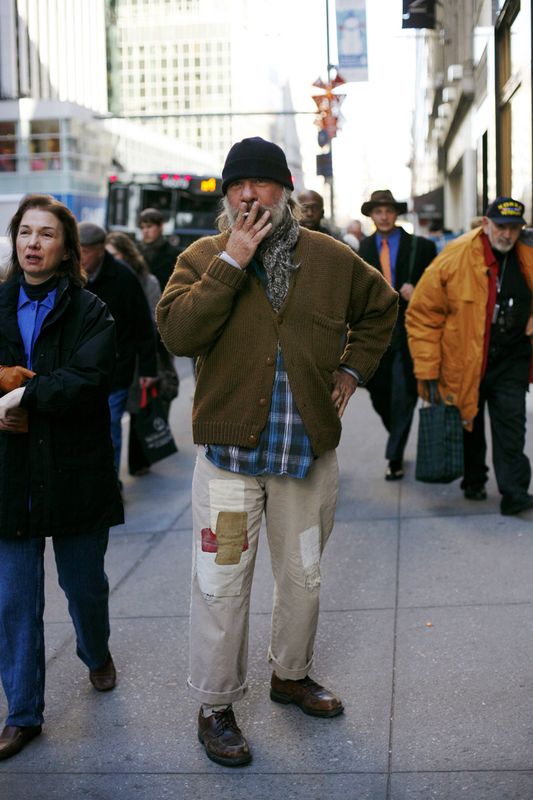 He looks as if he is a homeless man as he is wearing the sort of clothes usually associated with being homeless. His trousers being patched up might suggest that he's had to wear the same ones a lot and they are damaged. Beg for money (including money for things like cigarettes). Maybe he did have some money at some time but he may have lost it somehow and spiralled into a financial disaster, until eventually he was homeless. 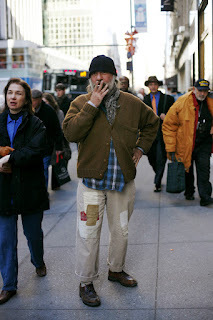 In reality his name is Doug Bihlmaier and he is stood on Madison Avenue in New York. He works for Ralph Lauren and travels around the world finding things to dress their stores. 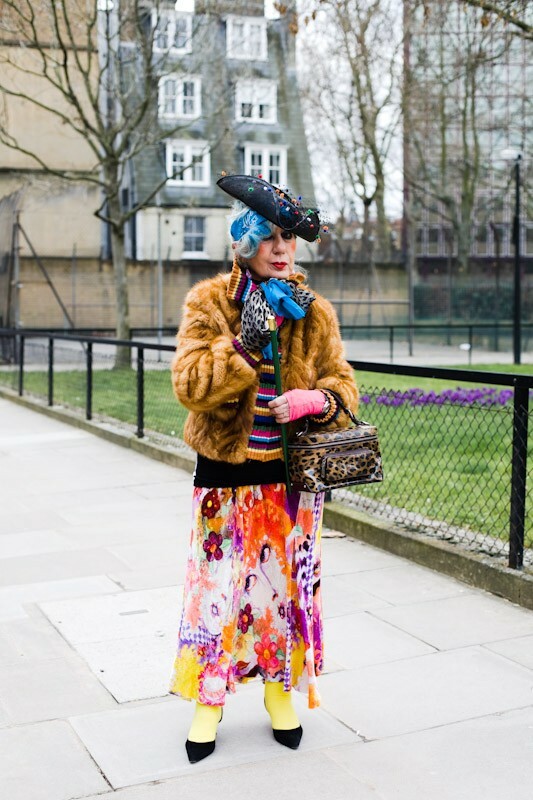 An elderly woman who is interested in fashion, maybe an artist. She looks like someone that would run an art gallery because of her interesting, arty taste in clothes. 2) What does she do? She looks like she is wealthy because of her fur coat and her other clothes look expensive too. So, maybe she has always had an interest in fashion and enjoys mixing it up. In reality her name is Anna Di Piaggi, she is an Italian fashion writer. 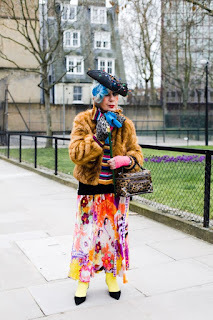 She has attended fashion shows all her life and designer companies give her their clothes for free. He looks like someone that's wealthy because of his expensive looking shoes and blazer. He looks relaxed and casual so he might be a laidback person. He looks like a business man because even though his outfit is laidback and casual, it is still to some extent smart. Because of his age and the fact that his clothes look expensive I would say that maybe he has made a lot of money throughout his life and that maybe he's done this by setting up a business himself. Maybe he can be laidback and casual now that it's successful. In reality he is Calvin Klein.